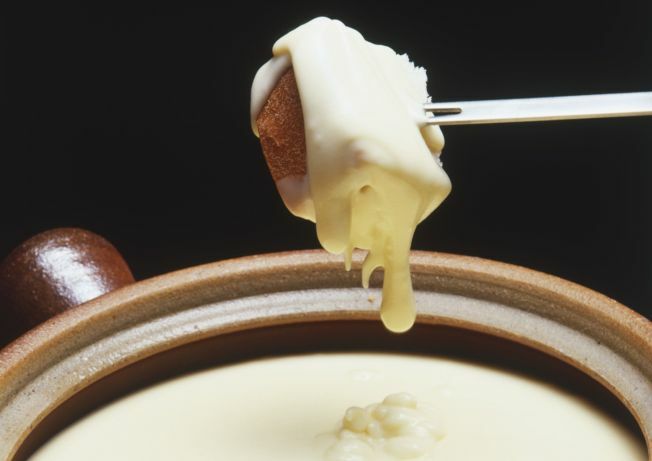 Whether you're a contestant or just a taster, Union Pool's Fondue Takedown is the event of the year for lovers of melted cheese. CURD UP: How much cheese is too much cheese? The '70s are ba-ack as Williamsburg's Union Pool hosts the Fondue Takedown (brought to you by Matt Timms of the ever-popular Chili Takedown). Enter your own melty concoction, or simply attend and sample your way through the contestants' wares. 5PM. BROOKLYN CALLING: Hasan Shah and Dom Shaw's 1982 film Rough Cut and Ready Dubbed is both a treasure of guerilla filmmaking (back before digital, people) and a moving slice of history: The pair documented the rise of punk and its relatives (mod, ska) by running roughshod through the scene with a camera from 1978 to 1981. See it at BAMcinematek at 2, 6:50PM. HELLO, SAILOR: Jerome Robbins and Leonard Bernstein's quintessential New York musical (it even has "New York, New York" in it! ), about a klatch of sailors on shore leave in the Big Apple in 1944, comes to the City Center for a handful of performances. See On the Town at 2, 8PM.